The face may be reshaped using non-surgical methods. The forehead structure may be reshaped with dermal fillers, eg injecting above a prominent brow ridge to disguise the brow ridge. The cheeks on many patients are the most important feature for face shaping and aging. Volume loss in the cheeks needs to be treated so that the patient can regain structural support of the skin of the face. This is easily achieved with dermal filler. The lower face may be too square, or too wide, causing a masculine appearance. 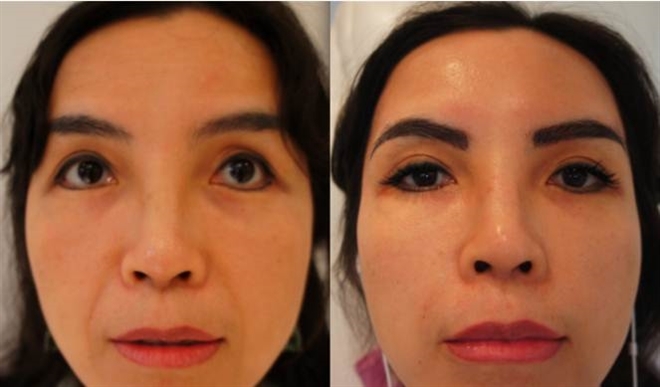 This is easily treated by injecting muscle relaxing injections in the masseter muscles, which will slim the face giving the face a more slim and feminine appearance.